You Beauty have an amazingly good value beauty subscription box but now they have various options for that subscription. There are bronze, silver and gold subscription/membership options to choose from, all at fantastic prices. In the Bronze level subscription/membership option you can choose two products from a monthly shortlist for only £6.95 per month and other treats such as free postage/packaging, brand offers and email previews. For the silver option, you get the option of choosing three products from a monthly shortlist for £8.95 per month, again with the addition of email reviews, free postage/packaging and brand offers. Also the option to cancel the subscription at any time is applicable to all. The gold subscription option gives you the choice of up to four items on a monthly shortlist to choose from - according to availability for £10.95 per month. The items are available on a first come first served basis. With this subscription option you will also receive exclusive brand offers on occasion as well as monthly treats/offers. The products available for July are shown above and they look fantastic, especially the Alpha H liquid gold which is a cult product! The M&S perfume, Illamasqua liner and Hawaiian tropic SPF look great too! 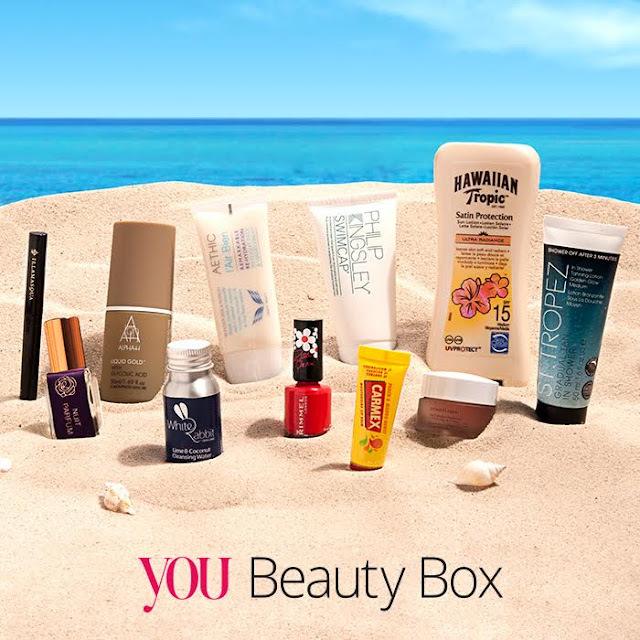 Will you be subscribing to the You Beauty Box? If so, which subscription option? There are soooo many to choose from...but this one looks like one of the best. I've tried a few now, but never this one surprisingly enough. Would definitely go for Gold - go hard or go home!! This box looks lovely and I love the idea of picking a range! I will be looking into them for sure! I love the look of what is coming up! This actually sounds pretty good i like how there are tiers and actual choices it sounds fantastic! not heard of this before but the products above do look great! I can never decide on a beauty box. This is good that there are different levels though and none of them are ridiculously priced either! So many choices out there, I get so overwhelmed over the sub boxes! I love the option though! I like the idea of being able to pick more!